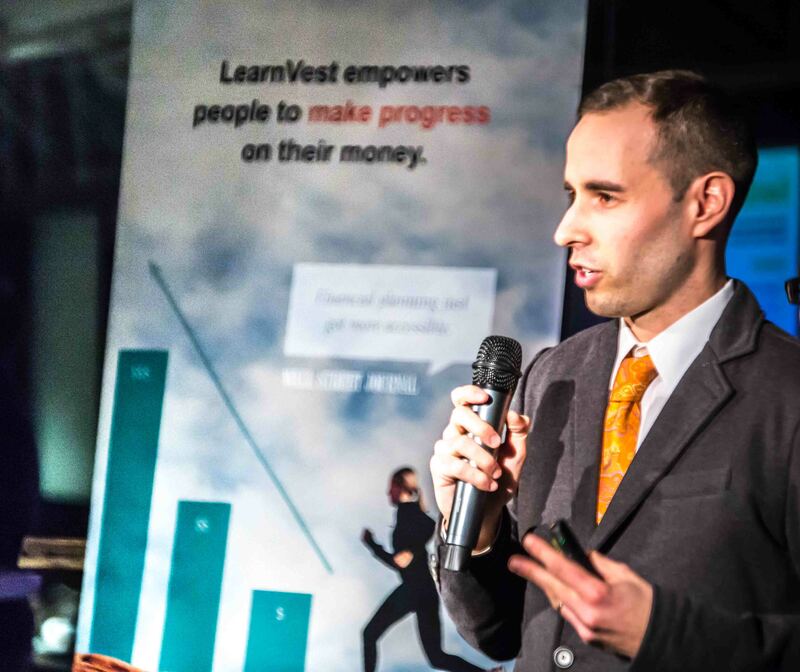 Last week I had the pleasure of attending the debut LearnVest Live. I signed up for LearnVest last year but hadn’t yet fully explored all it had to offer. The idea of it sounded great and I need all the money management knowledge I can soak up so I joined and then promptly put it on the back burner :-/. When I got the email that LearnVest is committed to helping everyone get financially confident in 2015, the flame was rekindled and in the spirit of 2015 being my best year yet, I decided it was time to tackle my finances head on with LearnVest there to help guide me. 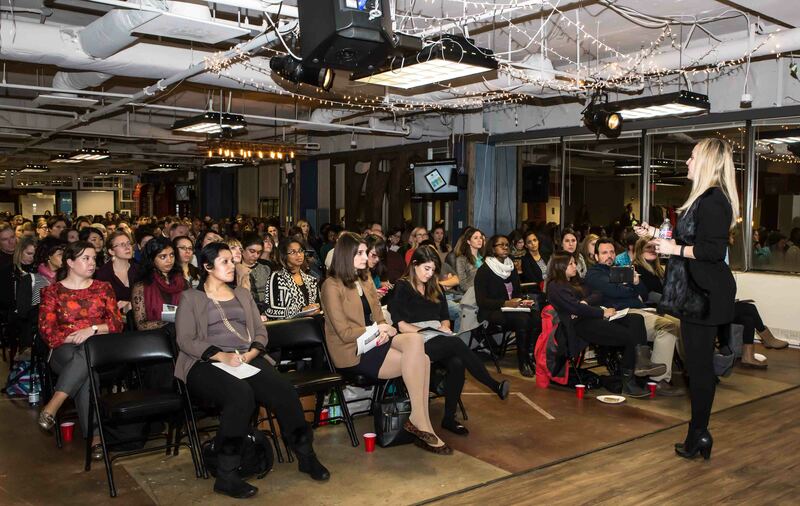 This event was created to help everyone put their best foot forward with a lecture from founder Alexis von Tobel at 1776. Seems like everyone got them memo that it was time to get right cause it was a PACKED audience but like a good little scholar you can see me right up front! Now initially I decided to attend this event out of need not necessarily with the most excitement. I mean we all want more money but rarely is the road to get there enjoyable. I feel like many people view money management like a trip to the dentist, hated but required. But much like our teeth, if you ignore the holes or problems, you will lose it all. Not my most eloquent line but you get the idea. So I realized I need to stop ignoring my financial snags and face them, head on, with some help and my big girl pants. Also armed with some tacos and wine, which definitely helped to butter everyone up. Then this beautifully pregnant, fashionably dressed, intelligent happy lady took the stage. I braced myself for the lecture that would confirm all of my financial failings… but it never came. 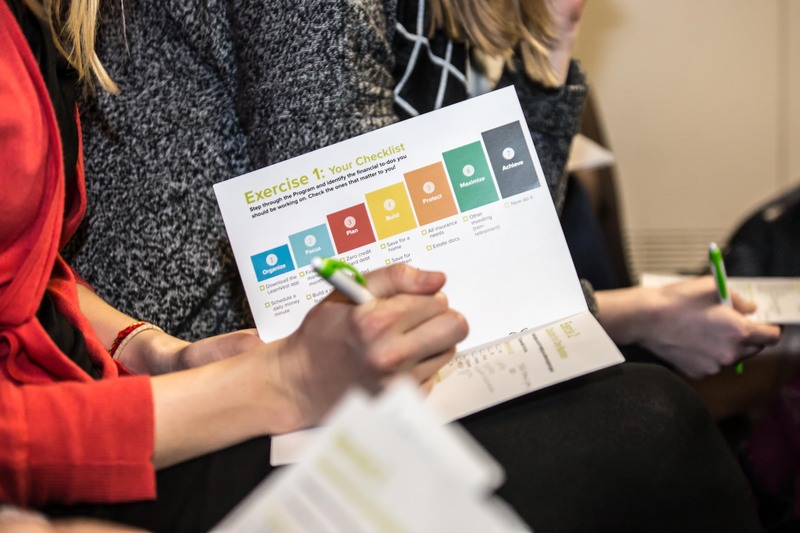 Instead LearnVest Founder & CEO Alexa von Tobel talked to us about what it means to have a plan for your money and more importantly, her ideas on how to motivate yourself to put that plan into action. She helped us all understand that we never really had a chance. That despite having good, great or the best education (she went to Harvard) most of us are not taught at home or at school how to manage our money. Being the great business woman that she is, Alexa looked at money management and said why is this a luxury service? 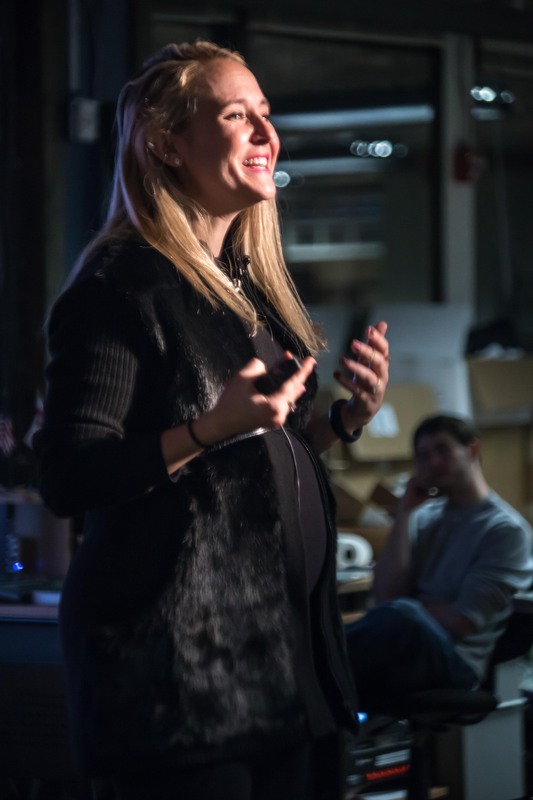 So she created LearnVest to bring financial freedom to the masses. After an engaging introduction and information session, Alexa introduced one of the Planners to get us started on the numbers. I didn’t have all the number to crunch (hey I’m still new at this) but I drank the kool aid, I got excited and I signed up for the program!!! It was definitely a splurge but I figure if I’d splurge on shoes or clothes in that amount, I can definitely splurge on my financial health and future. Plus I got a signed copy of her book (which I actually cannot wait to read) for signing up. I’ve learned that knowledge is power so the more I know, the better I will do with this journey. I am putting into writing here that I would like to be debt free in the next 3 years!! I believe that LearnVest will help me do it. My reward for this evening of hard work? 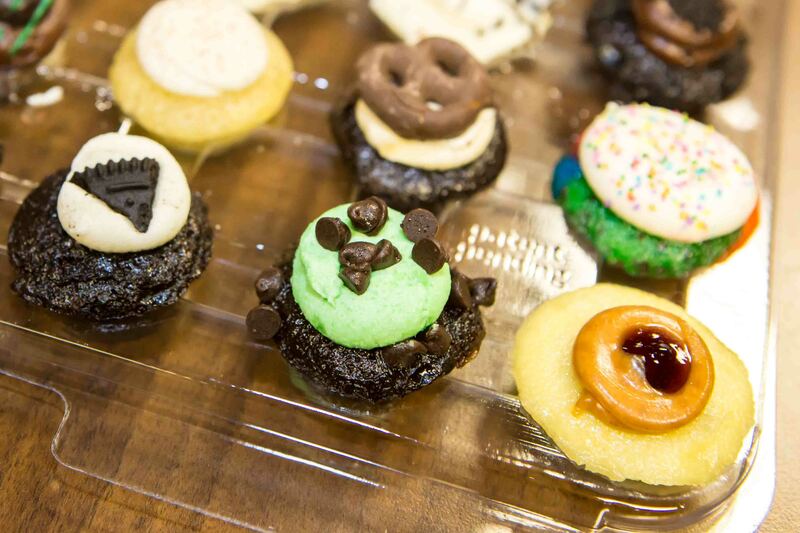 Cupcakes of course. Your reward for reading all of this?!? 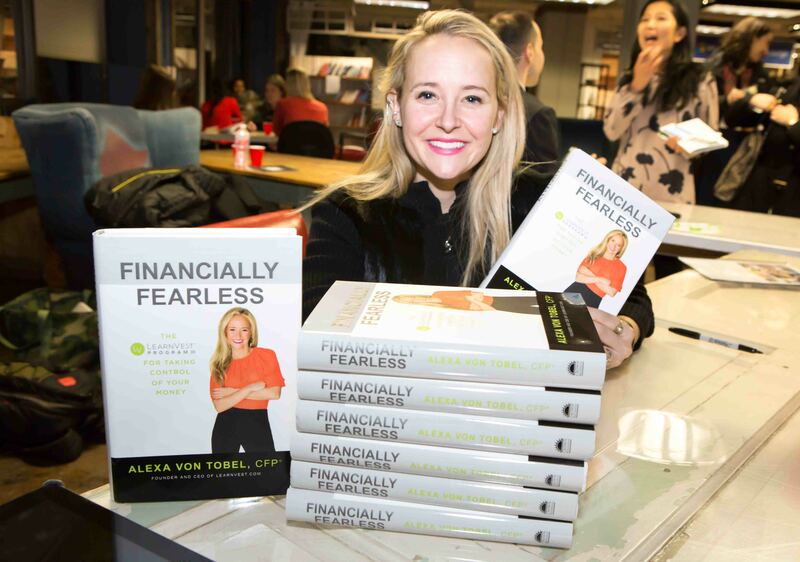 A chance to win a copy of Alexa von Tobel’s book Financially Fearless! Join me in making 2015 your best year possible and let’s all get financially fit together!! 3. In the comments, tell me 1 financial goal you have for 2015? Be sure to include your name and social media handle. Hello colleagues, nice post and pleasant arguments commented at this place, I am actually enjoying by these.